Quick update following the weekend post. 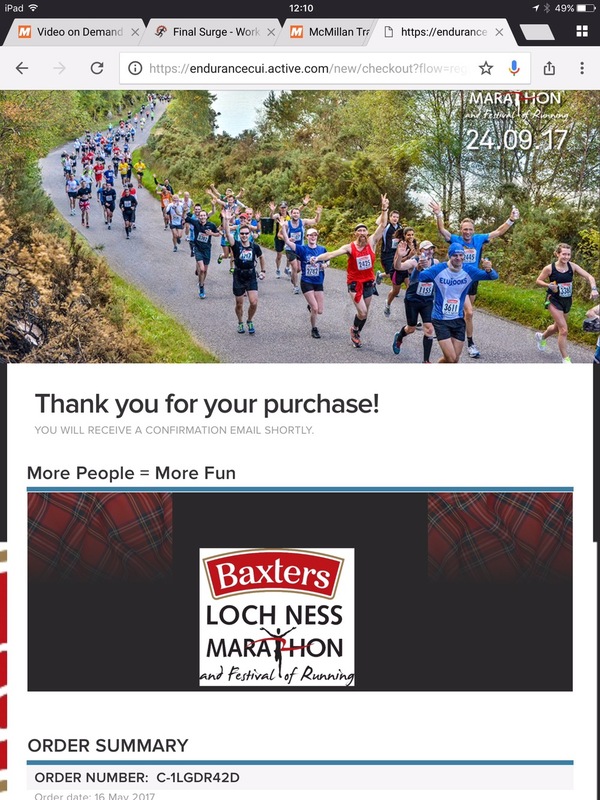 I entered the Loch Ness Marathon today. 24th September, 2017. 19 weeks away. Great to have a focus for my training now!